After resting yesterday, I felt like I needed to crank it up a notch today. So after joing Richard on his run to the office and running back to my house to get ready for work, I had only logged 8 miles and felt like I neded to head out again for another 6 or so miles or so later in the day. At luch, I headed home to go for a quick 6 miles, but I really felt tired after just a mile into my usual UAH loop run, so I decided to cut it short and just run one 4.3 mile loop. Oddly enough, after mile 2, I got my energy back and I felt ok. But now I was already mentally prepared to head home after one loop. On top of that, I got hungry, really hungry. That is very unusual for me as I generally just get thirsty, especially as it gets hotter and hotter every day here in the South. As a result, I headed back after 4.5 miles and immediately raided the cereal boxes once at home. For some reason, I felt like eating huge bowls of cereal with ice cold milk. No idea why. Anyway, I logged 12 1/2 miles for the day and I am ready for more. I'd like to get 60 miles in this week before starting to taper next week for the Strolling Jim 40 Miler. I am excited and very nervous at the same time. For some reason, the race results posted for this race from previous years seem just a little too long for a road race. Well, well, I better be ready for anything. 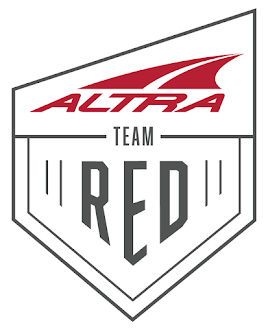 I hear a lot of "real" ultra runners participate in this event and it will be interesting for a newbie like me to participate in an ultra road event like this.